DAVE HEWITT’S CONDONIANS certainly entertained us here at Farnborough on Friday, 20th September 2013. Trombonist DAVE had booked ANDY DICKENS (trumpet & vocals), JULIAN MARC STRINGLE (reeds & vocals) RONNIE BOWATER (piano), ANDY LAWRENCE (string bass) and ROD BROWN (drums). They are all brilliant musicians of course. The repertoire started with that great lively number called ‘At the Jazz Band Ball’, which certainly got us in the mood. I have selected a few numbers to give you a flavour of the evening (not from being the best, but ones I had a moment to jot down). There was ‘A Kiss to Build a Dream On’ with a marvellous trumpet solo from Andy – well, super solos from all the front line. More came, such as ‘Big Butter and Egg Man’ and that Jelly Roll Morton number called ‘Whining Boy Blues’ (I can recall Andy (D) hitting top ‘C’ so smoothly). I wrote ‘lovely jubbly’ against the next (Fats Waller) number called ‘Black and Blue’. Then came a favourite of mine called ‘A Nightingale Sang in Berkeley Square’, which was absolutely wonderful. (It brought back a time when I walked bare-footed in Berkeley Square – Keith and I had just got together. nearly 30years ago and were ‘painting the town’ – oh lovely memories)…. back to Friday, they then played ‘Lou-Easy-An-I-A’, Dave played his baritone horn (excellent), plus Rod gave a brilliant drum solo. Keith, who was dancing with me at the time, got carried away and started tap dancing and moving his hands to the drums, so funny. and ‘Buddies Habits’ which has a very fast tempo, fabulous. Next was Julian’s Solo, playing an amazing tenor sax to ‘Back Home Again in Indiana’, what a talent (and he can sing too)! ‘I Can’t Get Started With You’ was superb, it’s such a lovely number. Then came their finale ‘Bourbon Street Parade’ and was certainly a fantastic number to finish on. It has a really good beat, so plenty of dancers enjoyed it. 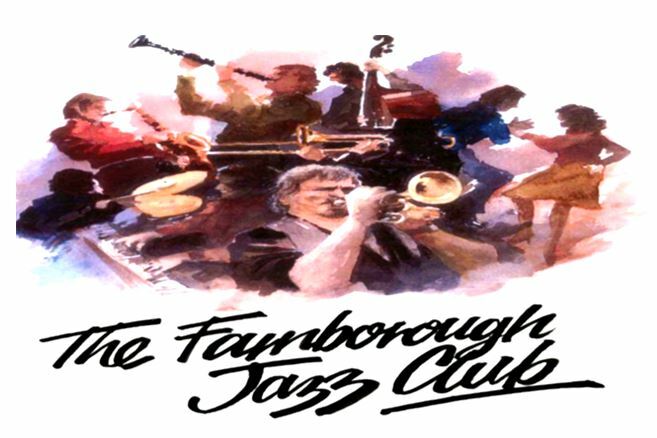 I hope you can visualise how marvellous the evening was, so that maybe some of you reading this will be tempted to check us out for yourselves, as to what a fun time we all have here at Farnborough Jazz Club, here in Kent. This entry was posted in Dave Hewitt's Condonians, Uncategorized on September 26, 2013 by Diane.